Career coaching can help to ensure your goals are focused on what you really want, and be clear about the steps you need to take to succeed. Aside from your annual development review, how often do you really take the time to focus on how you want to develop as a nurse? Working with a trained coach will give you the opportunity to explore all aspects of your professional and personal life. Unlike talking therapies, which seek meaning by exploring the past, coaching is about moving forward. Your coach’s role is to guide you through a structured process of self-discovery, empowering you to move from self-doubt to self-belief so that you are inspired and motivated to take positive actions towards an agreed goal. What direction you want your nursing career to take. If this vision reflects your personal values and aspirations. Any barriers or inner beliefs that are holding you back. Actions that will help you move towards your goal. 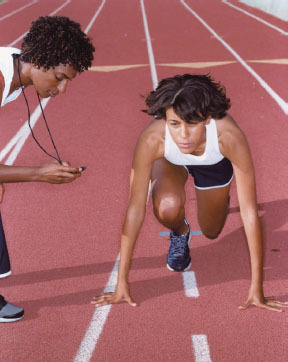 What you need to do to stay motivated and on track. Coaching takes time, patience and commitment. You will need to be open and honest – most importantly, with yourself – and be open to change. Coaching offers a rare opportunity to reflect on your nursing career and aspirations. You will be encouraged to think about the aspects of your role that you enjoy, your strengths and dreams, and the obstacles in your way. For example, you may have worked as a staff nurse for years and not appreciated the teaching skills you have developed; a coach could help you explore teaching opportunities. According to the International Coaching Federation, the desire to explore different career opportunities is one of the top reasons people opt for coaching. Underlying factors often include issues with self-confidence, self-esteem and work/life balance. Coaching has been shown to have a positive effect on confidence and self-belief. Coaching differs from mentoring, which involves a more senior nurse helping you develop your clinical and managerial skills. Effective coaching goes beyond completing a series of tasks or competencies and is focused on shifting your views and sense of purpose. While a colleague or mentor may provide you with a valuable listening ear, a coach should listen, question and seek commitment so that you learn, plan a way forward and turn that plan into reality. Unlike other aspects of your professional life, in coaching you are accountable only to yourself. A coach will challenge and encourage, but you are responsible for your learning and making change happen. If you are interested in career coaching, speak to your line manager about opportunities at your organisation. Alternatively, ask your trade union for local contacts, or go to the International Coaching Federation UK website (see resources) and use the ‘find a coach’ facility.